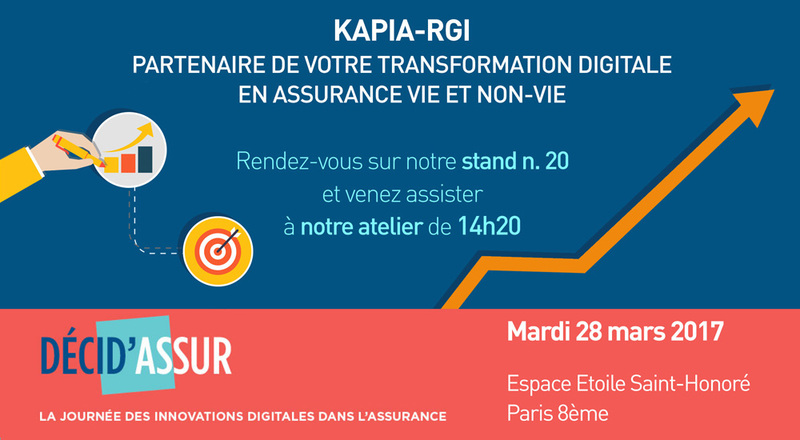 KAPIA-RGI will sponsor the “Decid’Assur” event next 28th of March in Paris. The Decid’ Assur will take place next Tuesday 28th in Paris at “L’Espace Étoile Saint-Honoré”. The event is the largest French meeting point for technological solution providers and professionals from the Insurance industry to offer to Insurance managers and decision-makers an overview of the most innovative and technology trends across the market. The day will gather around 400 people among Insurers and IT solution providers, including KAPIA-RGI, which will present PASS_Portal and its new digital insurer approach during an atelier speech from 14:20 to 15:00 “PASS_Insurance Digital: the customizable Front End for an innovative User Experience”.